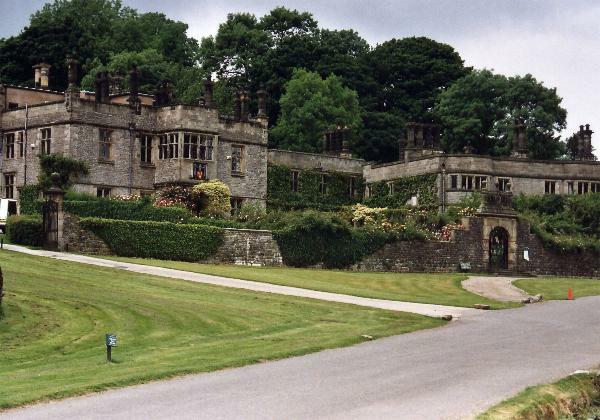 Is Derbyshire's Tissington Hall haunted? Tissington Hall is situated in the beautiful countryside on the south tip of Derbyshire's Peak District national park. The building itself was constructed in 1609 on the site of an earlier medieval moated manor house and has been owned by the same family for centuries, even to this day. Everything imaginable has been seen in the hall, from spirit lights of varying colour, to terrifying full bodied apparitions. In Room 4 a dark phantom has been seen at the foot of the bed, along with the strange smell of lavender and a humming noise. This activity is known to be caused by a girl called Wilhelmina Fitzherbert... The tale of her tragic death begins in 1862, when she got up in the middle of the night whilst carrying a candle with her. The breeze from an open window blew her nightdress into the flame and she suffered terrible burns, as it took a long time for anyone to come to her aid. 3 weeks later in September 1862 she died from her injuries. The atmosphere in room 4 has been described as oppressive to depressing and even violent. Many psychic mediums think people sense the bad atmosphere because of Wilhelmina's still growing hatred that her family could have done more to save her. In the library - which was a late addition the building in the early 1900's - unexplainable noises and startling temperature drops are commonplace. Along with lamps moving and vibrating and the spirit of a small animal thought to be a cat. Interestingly EVP experiments have captured catlike sounds in this room. An unknown male entity haunts the cellar area, he's often seen as a fleeting black shape moving quickly around the corridors. Could it be this man who's responsible for the smell of tobacco smoke and blue and white spirit lights that are often seen here?